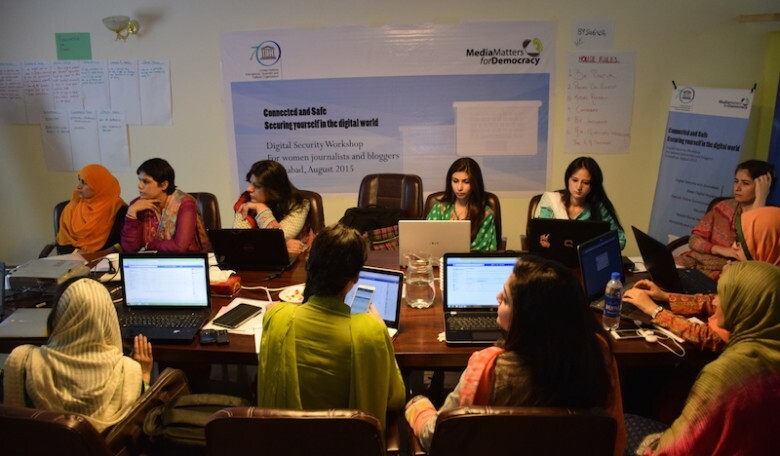 Islamabad, 21 August 2015: A digital safety helpdesk to assist women in media dealing with issues of digital security or online harassment has been set up at a local media development organisation, Media Matters for Democracy, in Islamabad. The creation of digital security help desk has followed the conclusion of a series of two digital safety workshops that brought together 30 women journalists and bloggers from different print and electronic media organisations. The workshop focused on both technological and behavioural solutions to counter digital threats. Participants of the workshop discussed the gender politics of digital behaviours and shared stories about their own experiences online. Women from different media, including broadcast, print and web were of the opinion that their male colleagues feel more secure online than women. The group also discussed possible solutions to hate speech and incitement that they face online. “The training has helped us look at our digital lives in a new way and we feel better equipped to make decisions regarding our digital safety”, said a participant giving feedback on the training. Another participant appreciated the focus on basic safety techniques, saying, “I didn’t realise how simple and easy some of the solutions are. This training has helped me understand that a lot of digital threats can be tackled simply by using common sense and being vigilant about our behaviours”. 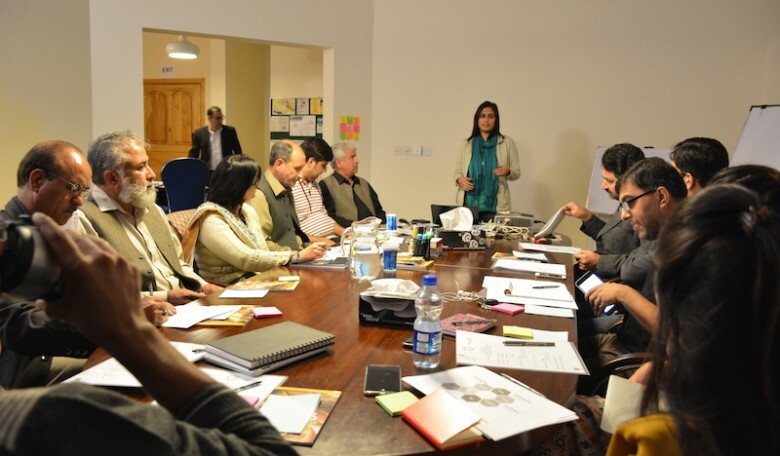 The workshop, Connected and Safe, organised with support from United Nations Educational, Scientific and Cultural Organisation, UNESCO, were arranged with the objective of empowering women in media to enjoy the benefits of technology without making themselves vulnerable to digital threats. UNESCO is the key UN agency that works on issues related to journalists’ security. The digital security training for women also ties in with UNESCO’s journalist security portfolio. Speaking on the occasion of certificate distribution among the participants, Ms. Vibeke Jensen, UNESCO Representative highlighted the significant role of female journalists in contributing to educate and inform the citizens towards a peaceful, developed and democratic society. She said that with the introduction of digital technologies and the high numbers of users including female journalists have exposed them to various risks including online assaults, privacy leakage, and other digital threats or harassments. She said UNESCO actively promotes the safety of those who produce journalism and believes that they have the right to work free from the threat of violence and to ensure the right to freedom of opinion and expression for all. In response to continued requests to continue the education and assistance around digital safety issues, MMfD set up a digital help desk, which will operate to assist women in media. 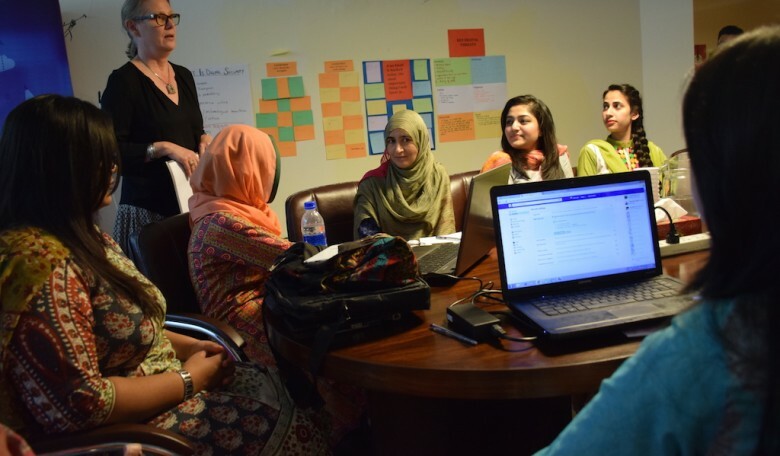 Commenting upon the decision to set up a help desk, MMfD’s Executive Director, Asad Baig said; “We hope to give women in media the confidence to speak out online and use technology in a way that empowers them personally and professionally. This help desk is the first step to ensure continued support for women who face digital threats and need a support structure to deal with them”.